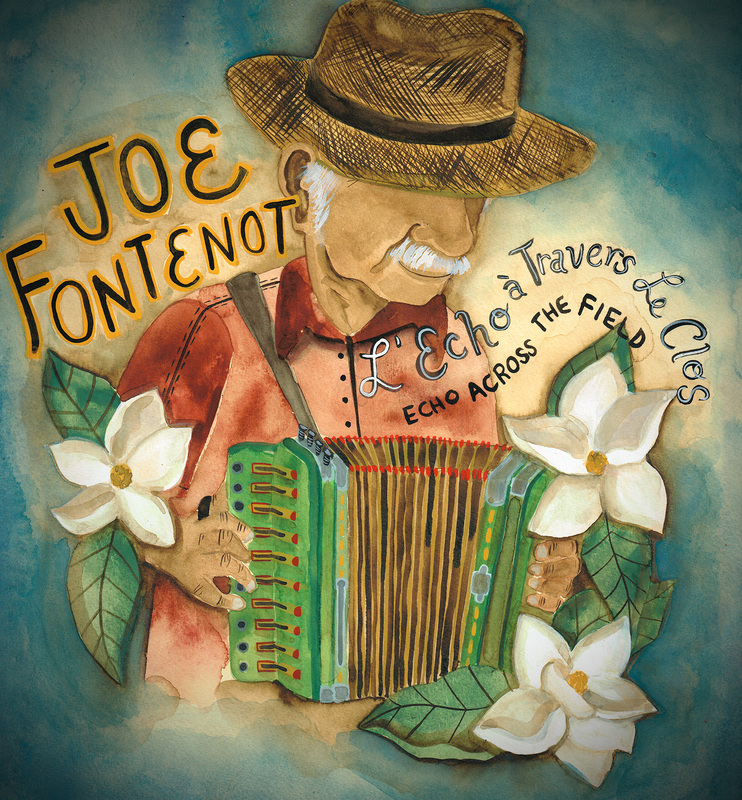 81-year old California Creole accordion player Joe Fontenot’s debut CD L’Echo a Travers Le Clos (Echo Across the Field) is now available! In true field recording style, we put a couple microphones in front of Joe and his two fellow musicians Guy Wenzel (fiddle) and Carolyn Russell (guitar) as they poured out tune after tune! Mr. Joe is a fixture in the Southern California Cajun and Zydeco community although he’s originally from Louisiana. The Old-Time Tiki Parlour believes heavily in supporting community and local music, so this is a big deal for us. The music community and family of Mr. Joe will now have something that will be preserved for generations. Joe Fontenot Trio plays “Parking Lot Stomp” at the Tiki Parlour!